Higher density interconnection using 3-Dimensional technology implies a pitch reduction and the use of micro-bumps. The micro-bump size reduction has a direct impact on the placement accuracy needed on the die placement and flip chip bonding equipment. 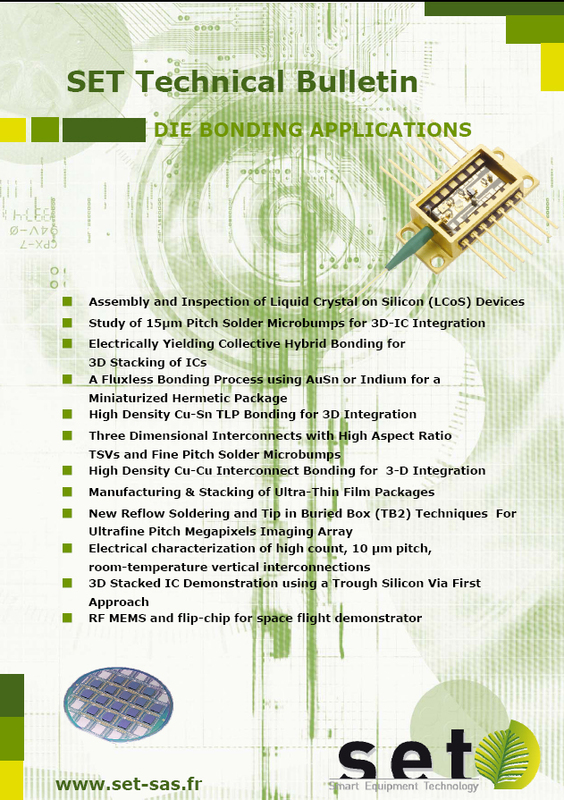 The paper presents a die-to-die and die-to-wafer, high accuracy, die bonding solution illustrated by the flip chip assembly of a large 2x2cm die consisting of 1 million 10µm micro-bumps at 20µm pitch.